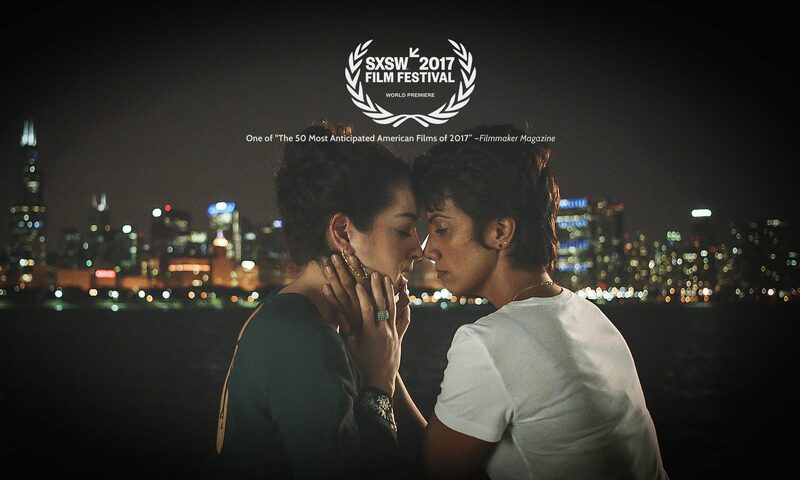 Signature Move (written by Lisa Donato and Fawzia Miriam and directed by Jennifer Reeder) is the type of film that we need right now, beautiful, light, funny, and overflowing with diversity. It presents viewers with a vision of America, Islam, and LGBTQ communities that flies in the face of preconceived notions and news coverage of them. Zaynab (Mirza) is a Muslim-American lawyer in Chicago. One of her clients can’t pay her for her services, so she gives her free wrestling lessons in exchange. When Zaynab meets and falls for Alma (Sari Sanchez), she learns that her mother was once a luchadora, a professional Mexican wrestler. Though they seem perfectly suited for one another, Alma—open and honest with her own family—is frustrated that Zaynab isn’t. Zaynab’s mother lives with her and—as Zaynab tells Alma—mothers and daughters aren’t friends in her culture. Zaynab’s mother stays at home alone all day, spying on passersby in search of a husband for her daughter. But through her spying, she also learns that Zaynab isn’t being completely honest about her identity. One of the strengths of Signature Move is that Reeder refuses to buy into the cinematic vision of Chicago we’re accustomed to seeing on the big screen. There’s not a recognizable–to most of us–Chicago landmark in the film. Reeder’s Chicago consists of bodegas, Muslim shops, beautiful colors, rich textures, and foreign foods. This setting suggests that maybe there aren’t two Americas, but rather hundreds. The film also reveals the diversity of the Muslim experience in America. Its Muslims are gay, straight, drinkers, teetotalers, and variously observant. We hear something fresh, the call to prayer flowing from a cell phone interrupting a one-night stand between a lesbian couple. In our hyper-divisive America, stories full of heart and humor, like Signature Move, should be seen widely and celebrated. They’re a key ingredient in the medicine that just might see us through.